Dr Joe Cassar on Times Talk in 2015. 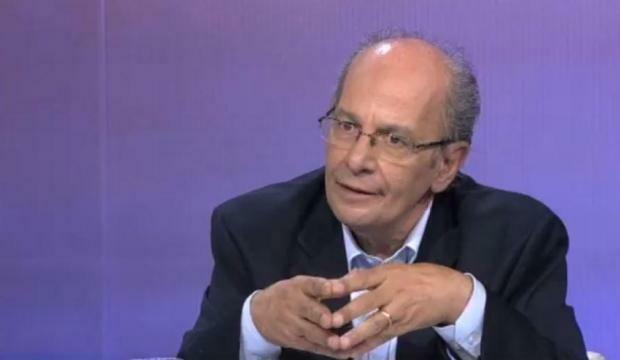 Dr Joseph Cassar, one of Malta's most seasoned diplomats and political commentators, has passed away. He was 71. Dr Cassar served as Malta's ambassador to Portugal, Italy, Libya and the Russian Federation. He had also served as Malta's permanent representative to the United Nations in Geneva, Vienna and in New York. He was advisor to Guido de Marco during his Presidency of the 45th UN General Assembly. He was a visiting professor at St Johns University in New York between 1997 and 1999. During that period he was also served as an advisor to the Holy See Delegation at the United Nations Conference for the Establishment of an International Criminal Court. Dr Cassar held a doctorate in political science from the Catholic University of Milan, where he specialised in international relations. He had started his career as a Times of Malta journalist and was the author of the book Gonzi and Malta's break with Gaddafi. In a statement, the Foreign Ministry said many diplomats today recall Dr Cassar as a "hard-working, meticulous, scrupulous diplomat, and a gentleman, with a deep sense of integrity, values, resilience, and work ethic. His enormous and sterling contribution to Maltese diplomacy is a legacy that carries on through all those who worked with him." The Nationalist Party also paid tribute to the former ambassador. In 2015, Dr Cassar was one of the guests on Times Talk to discuss the unstable situation in Libya.